Precision Technologies is an Division of Chiro, Inc. an Employee Owned Company. We are a testing service given to Floor Safety. Our trained technicians use the most accurate slip test equipment certified by the National Floor Safety Institute (NFSI). Our goal is to provide the most precise documentation to our customers. The founders come with forty years of experience between them in the floor care service business. 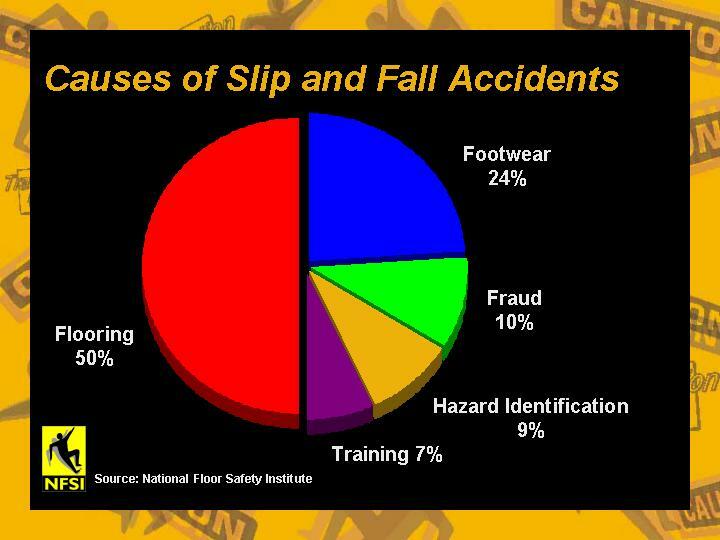 Our technicians are trained and certified by NFSI and NU-SAFE Floor Solutions, Inc.
Slip, trip and fall accidents are a leading cause of employee and customer injuries, resulting in substantial Liability and Worker's Compensation Insurance losses each year. Our trained technicians use the most accurate slip test equipment certified by the National Floor Safety Institute (NFSI). Our goal is to provide the most precise documentation to our customers. Backed by 40 years of experience Precision Technologies technicians are trained and certified by NFSI and NU-SAFE Floor Solutions, Inc.